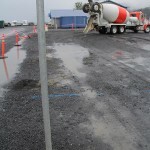 Regional Multiple-Award Construction Contract (RMACC) - Ahtna Environmental, Inc. 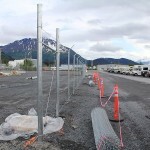 Regional Multiple-Award Construction Contract (RMACC) - Ahtna Environmental, Inc.
Ahtna has self-performed RMACC services under an ID/IQ contract for the USCG including design-build construction, performance-based construction, general construction, marine construction, demolition, historical restoration, design, and design and construction to LEED standards. Other services included environmental engineering and management and compliance with environmental regulatory programs as required for handling and disposal of hazardous wastes. 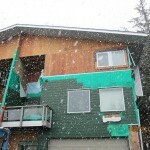 The USCG has a substantial force in Valdez, Alaska and their housing has been in a state of deterioration for some time. 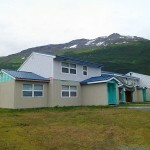 Ahtna renovated the housing complex and other facilities in Valdez. 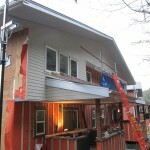 We replaced the siding and air infiltration barrier on 7, four-plex units and 56 garage units. Additionally, Ahtna renovated and modernized nine housing interiors including the installation of new kitchens, bathrooms, flooring, paint, lighting, electrical and mechanical upgrades, and exterior doors. 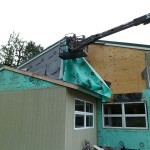 Upon starting the task, Ahtna determined that the units had asbestos containing materials requiring abatement before renovation could commence. The superintendent immediately stopped work and commissioned for testing by a qualified sampler to confirm the presence of asbestos. Ahtna informed the USCG of the presence of asbestos and coordinated a solution for the removal of the contaminated material, complying with environment and health and safety regulations, while without a significant work stoppage or delays to the original task order. 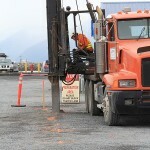 Ahtna performed all sampling, air monitoring and abatement work, many of whom were already onsite. Ahtna’s ability to readily identify asbestos containing materials, communicate the problem and find a solution with the USCG, and perform the required abatement without requiring additional subcontracts resulted in significant time and cost savings for the USCG. Additional tasks performed under this project included building improvements for increased energy efficient and sustainable design such as electrical upgrades in the USCG carpenters shop; installation of new LED street lights; ice melt systems installed over housing boiler rooms and at the cutter support building; and electrical improvements at the container storage facility. The Valdez area endured 438 inches of snow during the winter of 2011-2012 and Ahtna construction crews had to safely manage the extreme snow load during construction and demolition. 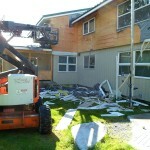 The identification of asbestos material in the housing units to be renovated required a temporary work stoppage until the USCG was notified of the problem and appropriate institutional controls and worker safety was in place. 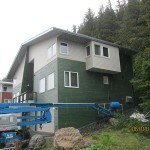 As asbestos abatement was not included in the contract, Ahtna worked quickly and efficiently with the USCG to develop a quick and cost-effective solution. Removal of siding during the project also resulted in the discovery of wood rot due to moisture infiltration at multiple locations. Ahtna worked closely with the USCG to put in place a unilateral modification to track and correct these issues as they arise throughout the term of the project. The USCG maintains a Cutter based in Seward, Alaska. 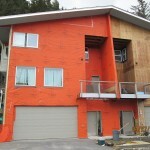 The Cutter is supported by a moor-ings building, which is located on land leased from the City of the Seward and the lease expired without an option to renew. 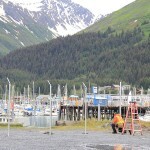 Ahtna moved the existing Moorings Building to a new location in Seward. However, after preliminary engineering, design work and site investigations, Ahtna suggested to the USCG that it would be more cost effective to design and construct a new building rather than relocate the old one. 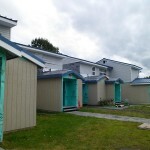 Ahtna and the USCG determined the small initial cost increase associated with the design and construction of a new building would result in significant long-term cost savings considering the existing Moorings Building’s age, deteriorated condition, and inefficient design and infrastructure. 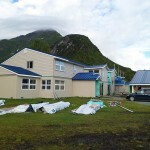 Ahtna worked closely with the USCG to ensure that the new building would have minimal building life cycle costs through low maintenance materials, robust design, and environmental sustainable and energy conserving features . Due to the proximity of the project to sensitive habitat, Ahtna utilized site-specific controls and best management practices to exceed compliance with environmental regulations. The project also required removal and disposal of the a UST fuel tank and installation of a new aboveground storage tank. Ahtna worked with the USCG to develop a site-specific plan for removal of the UST prevent the potential spread of contamination near sensitive habitat and disposal of the tank in accordance with state and federal environmental regulations. 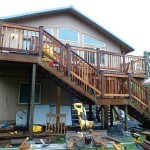 The Seward project demanded flexibility under an aggressive schedule as the scope of the project changed. Additionally, during the month of September, widespread severe flooding occurred in Seward as over 26 inches of rain fell on the town. Ahtna worked hard to finalize the framing of the new Moorings Building during that time to keep the project on time and within budget.